Jordan Brand will release several “Do The Right Thing” editions of the sneakers this month, including an eye-popping edition of the Jordan Son of Mars Low. 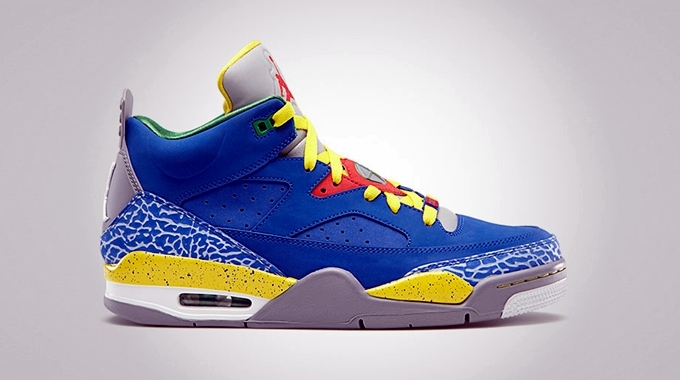 The Jordan Son of Mars Low “Do The Right Thing” will be released in the market on June 29. The shoe sports a Game Royal nubuck upper enhanced with Grey elephant print and accented with Yellow, Pine Green, Cement Grey, and Orange hints. This is officially listed as the Game Royal/Pimento – Tour Yellow – Cement Grey – Pine Green colorway of this popular shoe model. This is definitely a must-cop kick this month so make sure to get your hands on this kick! Best Jordan Son of Mars to Date?